After being inspired by the remarkable documentary, 'Fat, Sick and Nearly Dead', I have since taken to blitzing my fruit and veg. The documentary follows an Australian businessman named Joe Cross as he travels across the United States drinking nothing but fresh fruit and vegetable juice over a period of 60 days. The point of this?? To tap into the body's natural ability to heal itself when nourished with the right vitamins and nutrients. Not only does he tackle his debilitating autoimmune disease but he also drops an astonishing amount of weight, boosts his energy and inspires a few others along the way. 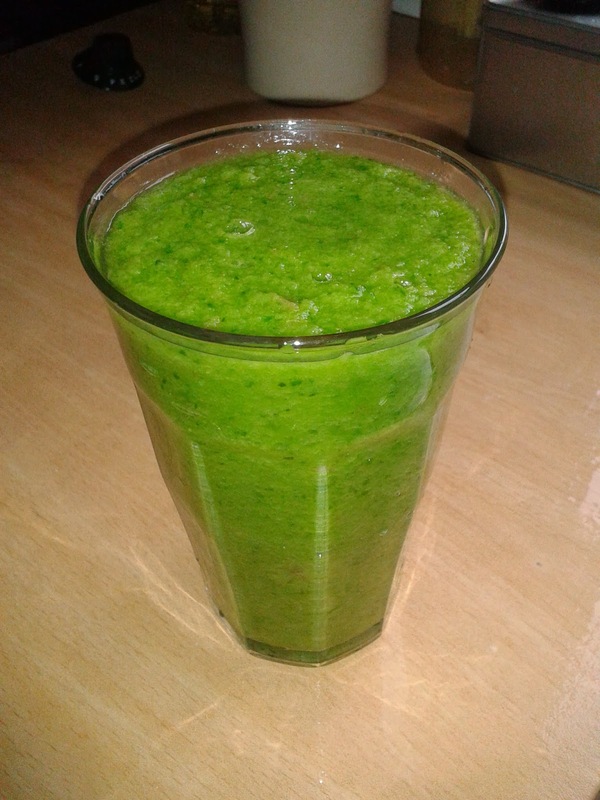 I am yet to invest in a good quality fruit and vegetable juicer, so for now I'll be starting most of my mornings with this delicious green smoothie. Takes hardly any time at all to make and gives me tons of energy until lunchtime. Feel free to stray from my recipe and add your favourite fruit and veg - be creative! Drink within an hour of making the smoothie to get the most nutrients out of it. If possible, go for organic produce. Hi, my problem with online recipes is that they call ingredients I don't know. Since this is a site for Nigerians, is it possible to put local/familiar names in bracket? For example, I googled spinach and I don't think I recognise the veggie. Hi Joyce, spinach is often used in Nigerian recipes such as efo riro and other leafy soups. Any edible leafy green vegetable - efo tete, water leaves (gbure), pumpkin leaves (ugu) - would work great as a substitute to the spinach I used in this recipe. Hope that's helpful. Weldone. Ill try dis recipe out.